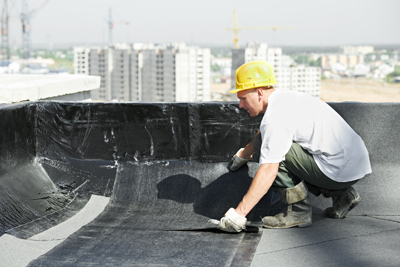 If you are a property manager or own a building, then one of the most important decisions you probably may experience in your life is to hire a really good roofing contractor. For this, your decisions should be backed up by careful research and planning. Our main goal is to provide you with a roofing system that is a perfect fit for the needs of your building since we believe that a roof is a very integral and one of the most vital part of a building’s structure. Durability and cost are a few of the important factors to consider when deciding on a new roof system although other things such as energy efficiency, environmental impact and overall functionality also should be thoroughly thought about as well. We provide all aspects of commercial roofing whether it’s just a maintenance project, a new roof installation, restoration or re-roofing. Our roofing professionals will provide a free roof assessment and then sit down with you to formulate an ideal solution for your budget and roof. Besides a new roofing system, we do offer a very affordable preventative maintenance plan in order to enhance the long-term value, long-life and safety of your property. To guarantee satisfaction, our project managers will always be in touch with you throughout the duration of the project. In the spirit of sustainable development, we offer you sustainable and cost effective roofing solutions. We have “cool” and “green” roofing systems that are energy efficient, and eco-friendly; the most important thing to remember is that we help in upgrading and optimizing your roofing system by integrating it with the newest but proven technologies. As with any continuously evolving industry, you should know that the roofing industry keeps on coming up with ever more sophisticated innovations each year. 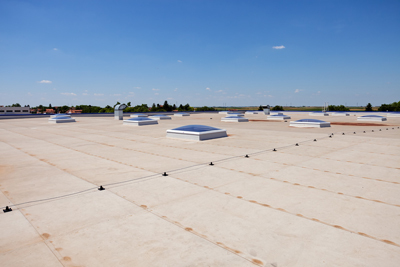 We take exceptional pride in being a leading provider of sustainable roof solutions. Moreover, our aim is not only to provide you with vital roofing services, each project that we do secures and prolongs the lifespan of the building that benefits its inhabitants and community. Besides these establishments we also can provide services to industrial properties, storage complex, parking, government buildings, educational facilities, houses of worship, etc.